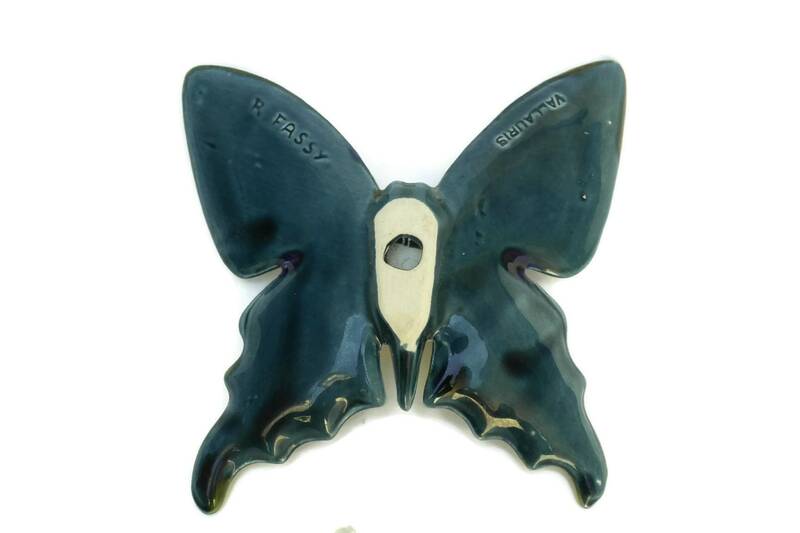 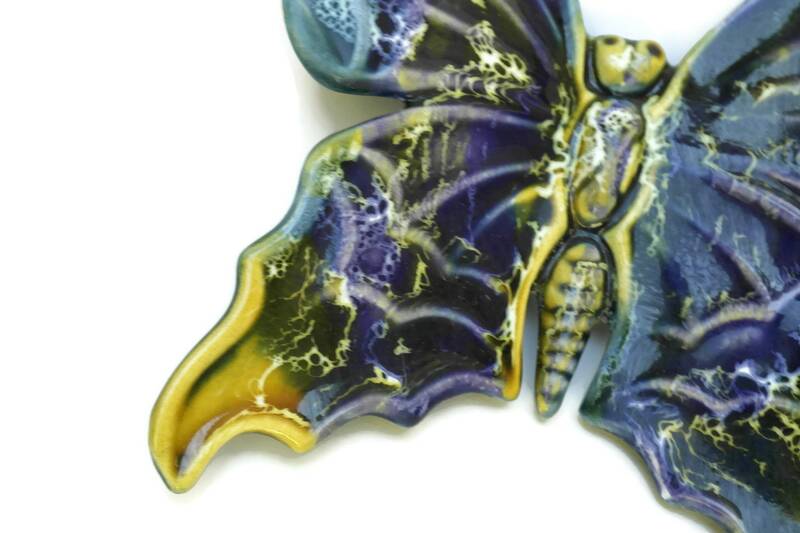 A vintage ceramic butterfly figurine wall hanging glazed in vibrant shades of blue. 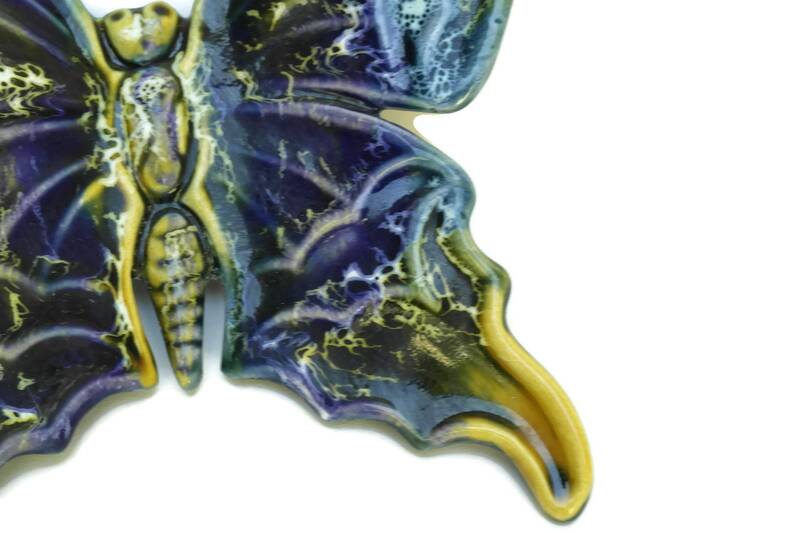 The large insect wall hanging was created in the art pottery studio of Raymond Fassi in the French town of Vallauris which is renowned for its ceramic production. 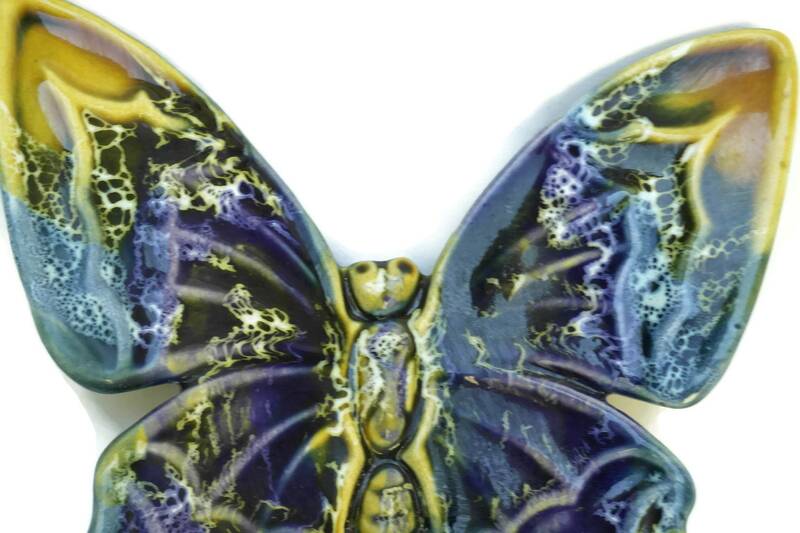 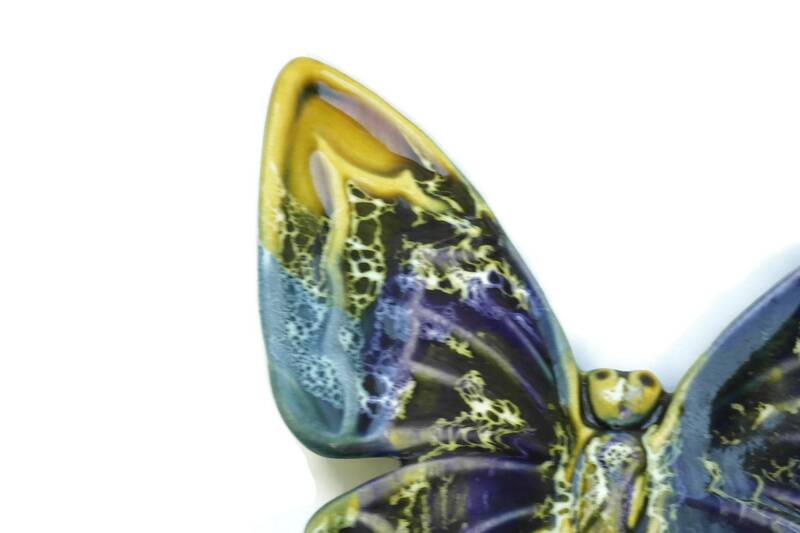 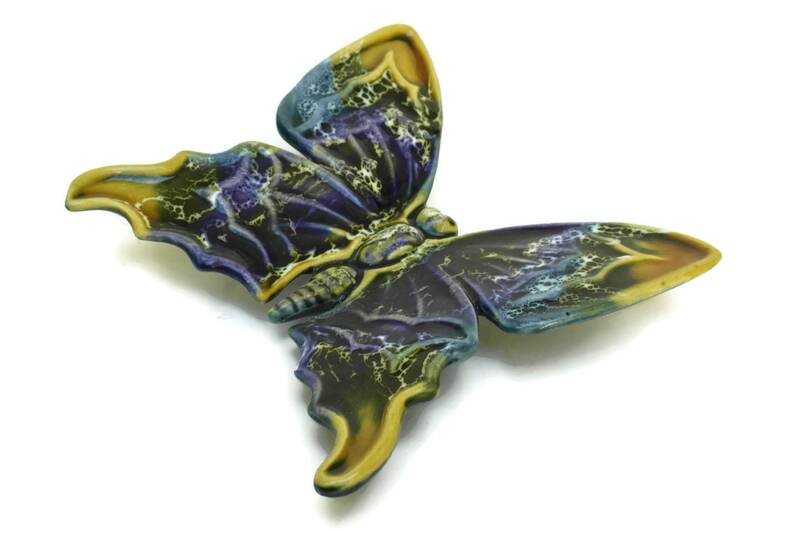 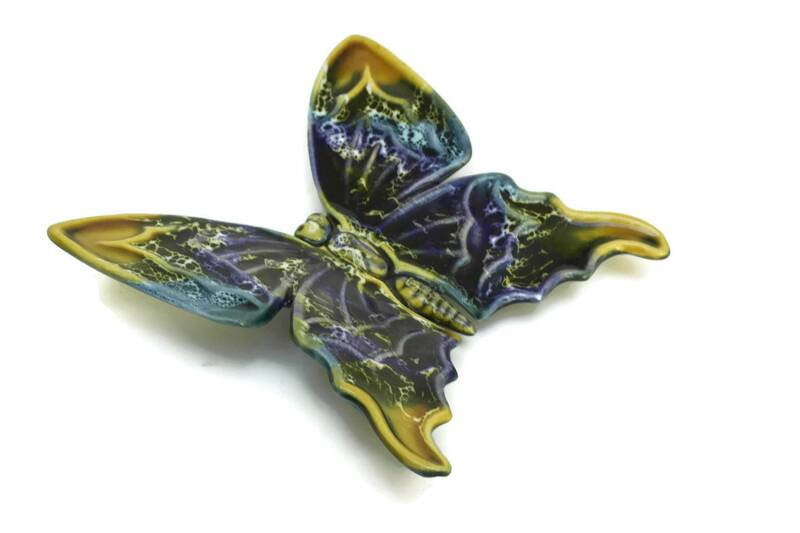 The butterfly's wings have a raised surface design and are decorated with contrasting blue and yellow glaze. 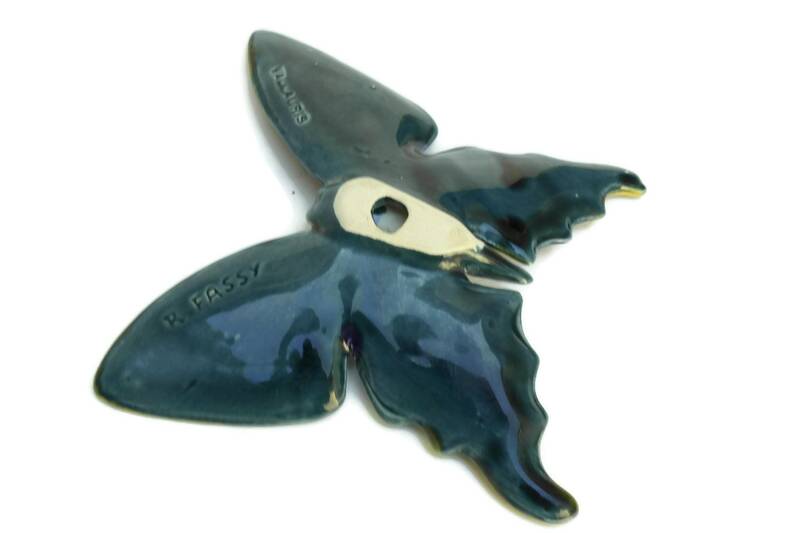 The underside has inscribed with the maker's marks. 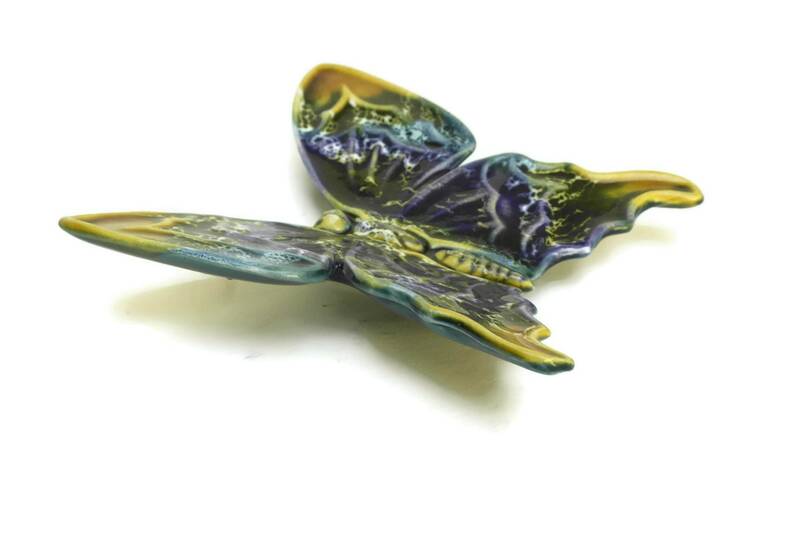 5.5" Long x 5.5" Tall (14,5 cm x 14,5 cm). 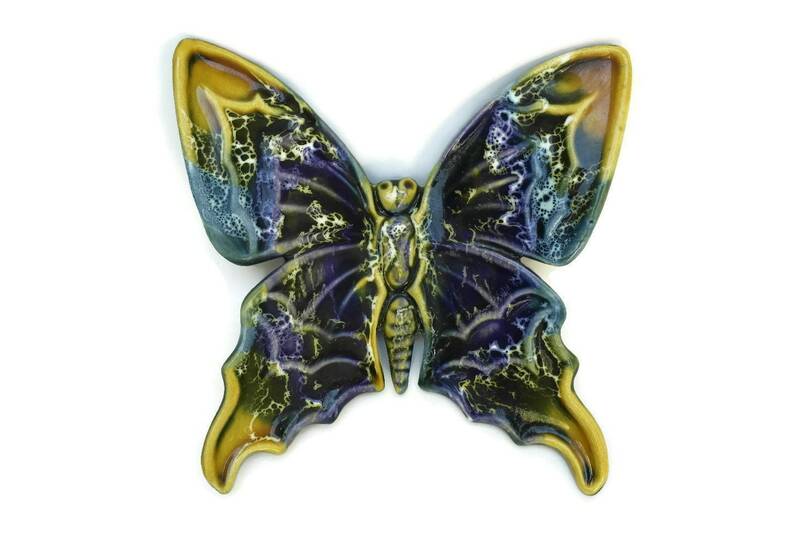 The ceramic butterfly decor is in excellent condition and there are no chips or cracks.